The following are the terms and conditions for use of the HealthPlus.ie website. These terms and conditions can be amended at any time. This website is for use by people who are 18 years and over only. All goods are delivered by courier. Please ensure you give your full address and phone number as this will form your address label for shipping. Failed deliveries will be returned to us by the courier. Once we have the goods back we will contact you to verify your full address or phone number. You may incur further delivery fees if the address is incorrect. We only deliver to addresses in Ireland. The delivery rate is €6.50 per order. All orders over €30.00 have free delivery. All products on the website are subject to availability and in some cases are sourced from our retail pharmacy stores directly. In the unlikely event of goods becoming out of stock or otherwise unavailable, we will notify you directly either by email or phone. We will offer you a replacement or full refund of the order. If we are unable to make contact then an advice note will be sent by email and goods will be dispatched as soon as available. If the goods do not come back into stock and therefore are not available, and are not delivered after 20 days, a refund will be issued. Once you have finished shopping you will go through to our secure checkout area where you will be asked for the details required to process your order. Once the order process is completed you will receive a confirmation e-mail with details your order. We use reliable and secure checkout processing systems; PayPal and Stripe. When the order payment has cleared then goods will be dispatched (on the same day if possible). 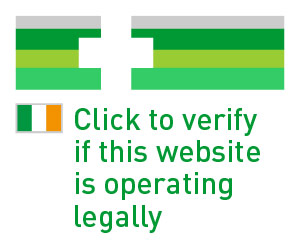 Internet transactions are processed via our secure ordering facility on a secure server. All major Credit/Debit Cards are accepted and the name HEALTHPLUS LTD. will appear on your credit/debit card transaction statement. All prices displayed within the on-line store include VAT where applicable. All prices on this website are in Euro. The price (the Price) listed on the Website for HealthPlus products (the Products) will be as stipulated at the time when you place your order on the website. We are entitled to make adjustments to the Price to take account of any increase in our supplier's prices, or the imposition of any new taxes or duties, or if due to an error/omission and the Price for the Products on the website is wrong. The Contract of Sale is not confirmed until products are ready for dispatch and a Dispatch or Shipping e-mail is sent. We therefore reserve the right to cancel and refund an order due to a pricing error. All goods are dispatched from our warehouse in Galway, Ireland. Orders not received after 7 days should be notified by e-mail to Customer services with details of your order. Please ensure you use a valid and current e-mail address when ordering, as you will receive all confirmation relating to your purchase by e-mail. Retain these details until your order has been delivered and please quote these in any correspondence to us regarding your order. The information on the HealthPlus.ie website should be used for guideline purposes ONLY and should not be considered to self-diagnose or as medical advice. If you are taking medication of any kind, it is best to check with your Doctor, or another qualified medical practitioner, before you purchase products from this website for a diagnosed condition or follow any advice. HealthPlus.ie would like to clearly state that products on this website are not to be purchased to cure any disease or ailment. Results are not guaranteed for any weight management products or body building products. It is important that you read and understand the label/packaging of any product you purchase from HealthPlus.ie before consumption and/or before using the product. The onus is on the customer to ensure they are satisfied to consume the purchased product, and/or to use the product. If, for any reason, you are not happy with your purchase, you may send back the product within 7 days of your order being delivered. The returned product must be unused & unopened, with the original packaging and labelling still attached. The onus is on the customer to pay for delivery of the product being returned. We will then issue a full refund/credit note. Please see our returns policy for more detailed information. All medicines that HealthPlus.ie supplies are sourced from an authorised manufacturer or an authorised wholesaler. This ensures the quality and safety of the medicines, the security and integrity of the supply chain and also reduces any risk of counterfeit medicines entering the supply chain. All persons buying medicines online from HealthPlus.ie must be 1) over 18 years of age, 2) have read and will follow the recommendations for use contained on the packaging of the product, 3) are satisfied that the amount of the non-prescription medicine ordered is the correct dose/amount for the customer, 4) that the medicine is for the customer/the customer's child and this is specified, and 5) that the customer has read and agreed to our terms and conditions. We will monitor purchases of any medicines which are liable to abuse and/or misuse and they will be identified along with any repeat requests for these medicines from the same customer within a short time frame. Where there is suspected abuse or misuse of a medicine; a supply will not be made and a full refund will be given. No contract will subsist between you and HealthPlus.ie for a sale to you of any item or service unless and until HealthPlus.ie accepts and confirms by e-mail that it has dispatched your order. That acceptance will be deemed complete and will be deemed for all purposes to have been effectively communicated to you at the time HealthPlus.ie sends the e-mail to you (whether or not you receive that e-mail). We shall not be liable for any failure to perform any of our obligations under these terms and conditions which is caused by circumstances beyond our control. We may terminate the Website with or without cause at any time and effective immediately. In addition we, in our sole discretion, may terminate your Account for violation of the letter or spirit of these terms and conditions.